I’m aiming to send as many as I can by the end of September and would be really happy to put yours in the box too… just drop me a line. This entry was posted in family, knitting and yarn on August 15, 2011 by admin. 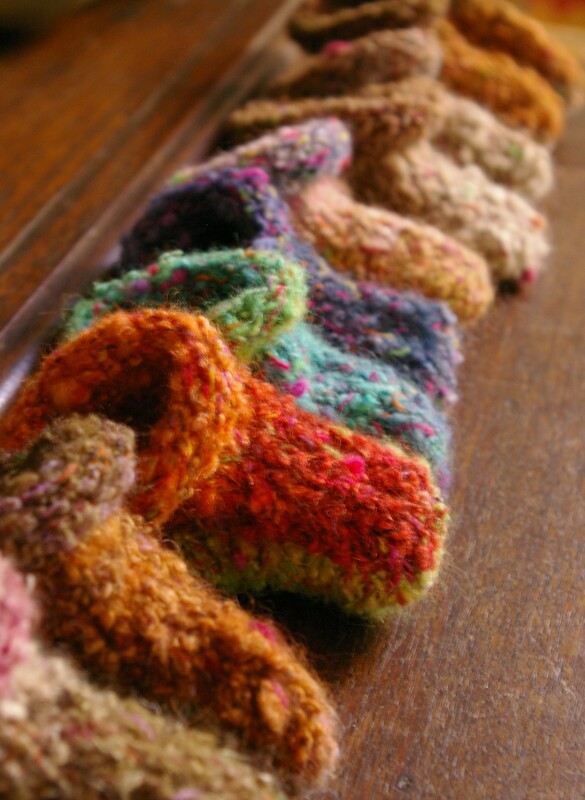 Hi Jules, hope the lovely sunshine today has helped the throat infection… our library crafters are meeting up tomorrow so I will pass the word and see if we can get a couple more scarves. I work at Swinburne but am usually in the city on the weekend so it would be easy to pop into the shop, and lovely to meet you! Will be in touch later. Cheers! I don’t knit, but I do felt with wool – could I send one to you from NZ?